The world's rhinos are in trouble and award-winning wildlife television presenter Bonné de Bod is on a quest to find out why and more importantly, what's being done. Rhinos are difficult to manage without some sort of help from drugs. Vets realised that a partial anaesthetic could be applied to rhinos and they would still be able to move under their own steam. This made it invaluable for vets and nature reserve managers to dart wild rhinos and then have the ability to relocate them. The downside is that white rhinos are particularly susceptible to anaesthetic, and the Kruger National Park’s vets and scientists have been conducting ground-breaking anaesthetic trials on test subjects to lessen the risk of anaesthetics for rhinos. Over the past two years, presenter Bonné de Bod has been following these tests and she gets invited to the scientist’s most recent trial. 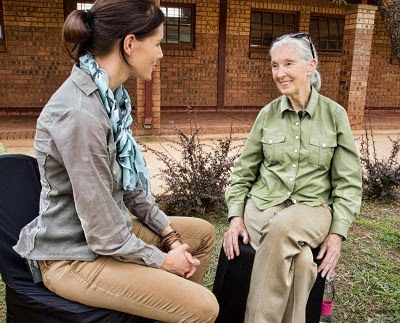 Presenter Bonné de Bod spends this episode in the company of legendary primatologist, UN Messenger of Peace and world renowned environmentalist Dr Dame Jane Goodall. Jane talks to Bonné about her love of rhinos and how her organisation Roots and Shoots is having an impact in Africa and China where love of nature and connectedness to the planet is what she believes will save the rhinos.